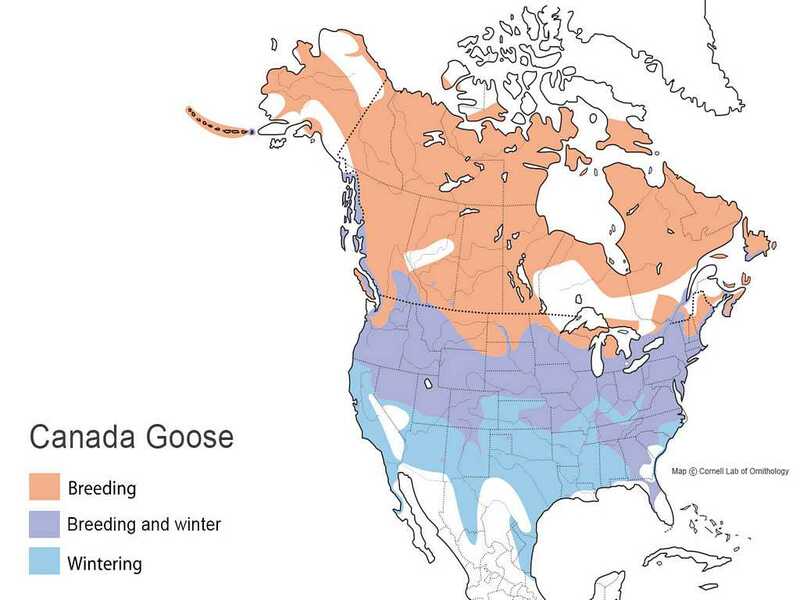 Canada geese nest across inland North America and in more southerly habitats than cackling geese. Canada geese exhibit very strong family and pair bonds, and tend to return to their natal homes to nest. Female Canada geese lay a range of 2-8 eggs with an incubation period of 25-28 days. Average weight: M 3-13 lbs., F 3-11 lbs. In general, populations of Canada geese are currently more stable than in previous decades. Nearly extirpated in the early 1900s, Giant Canada goose populations have become problematic in some areas due to their elevated numbers. Mississippi Flyway Giant Canada goose population estimates have increased an average of 3 percent a year from 1998 to 2007, when it was estimated at 1.64 million birds, a 5-percent decrease from 2006. 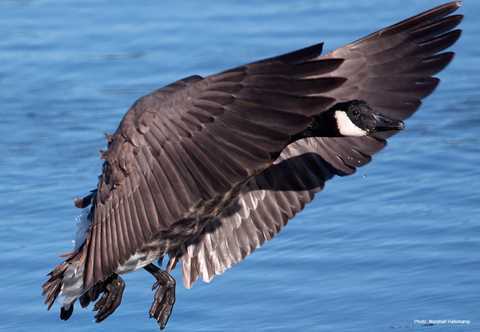 With resident Canada goose estimates now over 3 million nationwide, several states have established early Canada goose seasons that focus solely on reducing populations of resident Canada geese. In contrast, the Dusky Canada goose population remains at relatively low numbers, with 2007 breeding population counts estimated at 10,000 birds. Breeding population estimates in 2007 for Atlantic Canada geese were 1.38 million birds, while the Hudson Bay population was estimated to be 966,500 birds. The remaining subspecies combined accounted for more than 2.7 million additional geese in the 2007 flight. 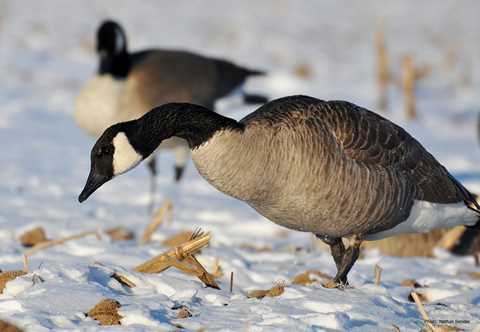 From a harvest management perspective, Canada geese are usually included in season lengths and bag limits with other white-cheeked geese. Hunters should be sure to check specific state regulations for hunting restrictions. 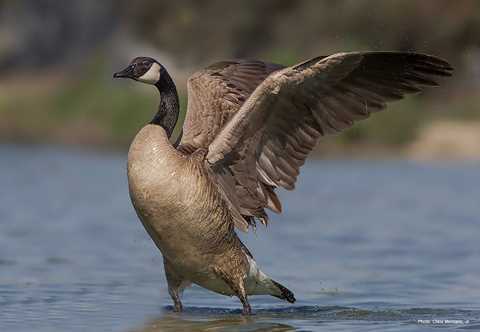 Canada geese are herbivorous, feeding on grasses, sedges, waste grain, and berries. In coastal areas of North America, grain-producing agricultural lands adjacent to estuarine or saltwater marshes with bulrush and cordgrass provide ideal winter habitat. 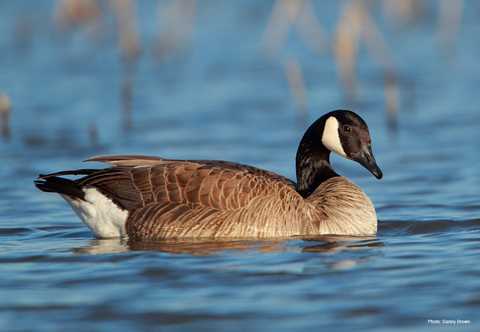 In the mid-continent United States, refuges with freshwater marshes and abundant food crops attract Canada geese.